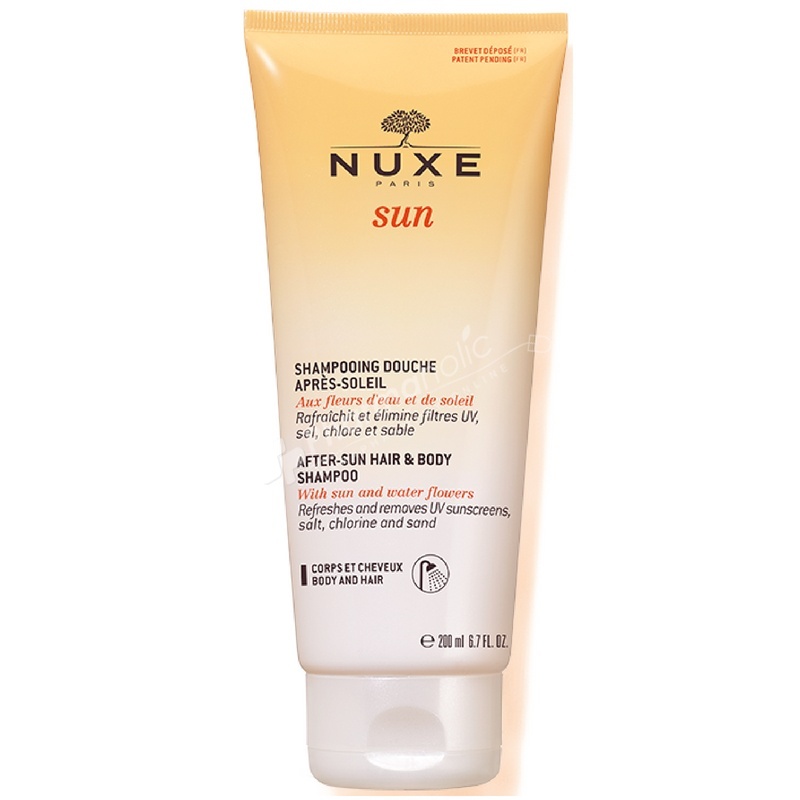 NUXE Sun After-Sun Hair & Body Shampoo gently cleanses and removes all residues (UV filters, salt, chlorine and sand). Skin is cleansed, refreshed and deliciously fragranced, ready for an after-sun product; hair feels supple and soft. This hair and body shampoo, with Sun and Water Flowers, gently cleanses and removes all residues (UV filters, salt, chlorine and sand). Skin is cleansed, refreshed and deliciously fragranced, ready for an after-sun product; hair feels supple and soft. Use it after the beach to remove all residue that has accumulated over the course of the day and enjoy its refreshing effect. It is ideal for removing salt and chlorine after swimming in a pool or in the sea, without drying out the skin. Sulphate-free. Paraben-free. Formula easily biodegradable. Apply to wet skin and hair, lather and then rinse thoroughly.